A little more than a week after seeing a fastball from Boston Red Sox reliever Matt Barnes, Baltimore Orioles third baseman had another dustup with the Red Sox. Tuesday night at Fenway Park, Red Sox ace Chris Sale threw a 98 mph fastball behind Machado. This pitch was closer to Machado’s feet than his head, but it may have escalated a growing feud between the Orioles and Red Sox that doesn’t appear to be over. It also sent Machado into a profanity-infused tantrum after the game. Machado got some semblance of revenge on Sale later in the game when he homered against the lefty. However, the Red Sox still won the game 5-2 and the home run wasn’t enough to put Machado in a good mood afterward. Boston’s issue with Machado stems from a slide into second base last week that saw Machado’s spikes come up and dig into the lower leg of Dustin Pedroia. Machado said he didn’t mean to hurt Pedroia on the slide, and despite missing a few games while the injury healed, Pedroia agreed. But that didn’t stop Barnes from throwing behind Machado’s head, for which he received a four-game suspension. Barnes maintained afterward that he was not trying to throw at Machado’s head, and the Red Sox walked the same line after Sale’s pitch. Of course, six starts in to the season, Sale has an ERA of 1.38 and a WHIP of 0.74, and so the notion that Sale happened to miss so badly when Machado happened to be at the plate is a little hard to buy. 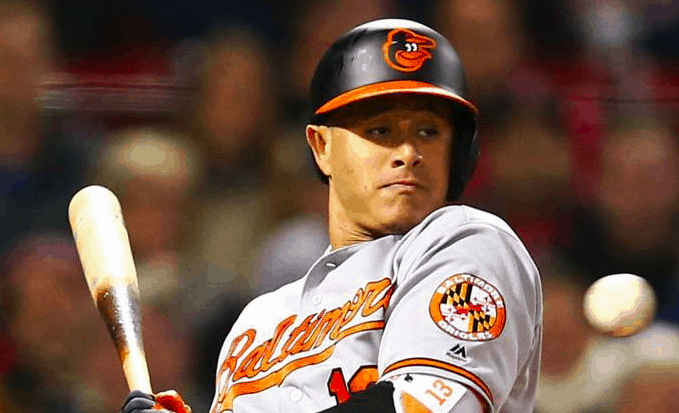 Machado believes that it’s time for MLB to step in and do something, as he seems tired of dodging fastballs being thrown at him. Both dugouts were given warnings following Sale’s pitch, and so there was no retaliation from the Orioles on Tuesday. Of course, the teams play again on Wednesday and Thursday, and they will meet for four games in Baltimore the first week of June, so there’s plenty of times for the shenanigans between the two teams to continue. Whether the Orioles will feel compelled to fire back on Wednesday remains to be seen, but there’s no denying the tension between these two teams at the moment. Machado remains in the middle of everything and has made his feelings about the Red Sox quite clear. It’s now up to him and his teammates to decide how to proceed.